Not too the jeep for for it. Traded my Dodge for a newer one with the diesel. Built a PVC tube to hold water for the beach on the wj. 4", water faucet, Schrader valve and npt for pressurizing, pressure gauge, 2" access point. Black so the water is warm. 4-something gallons. I had a 4" tee in it but it leaked like a mofo. The 2" is much better. 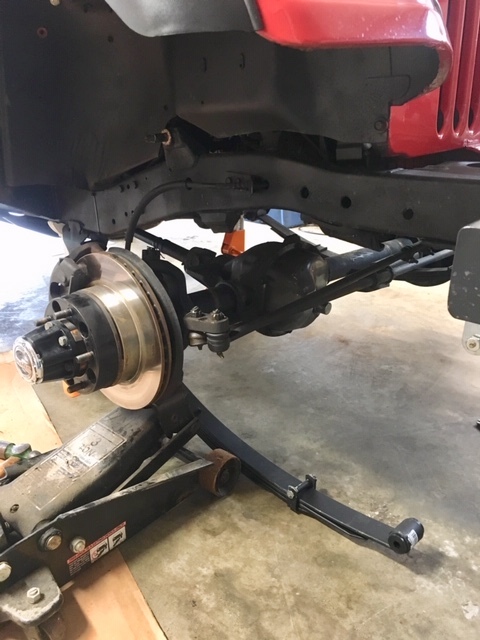 I got around to replacing the back section of frame on the other side of my Jeep. A couple body mounts and POR 15 on the back third of the underbody and frame are next. Another greasable shackle bolt rusted down. Had that happen to me 10 or 15 years ago while on my way to Hazleton. I had a custom full floating rear set up. Apparently there was a burr inside the spindle that was close enough to axle to make it heat up. At 70 mph it got molten and stalled the engine. Can't believe it didn't lock the tire up but it must have remoained molten enough to continue spinning. Once I pulled it over to the shoulder it solidified. That's really weird. This is an Alloy USA shaft on the passenger side of a Dana 30. Judging from the twist of the splines, I must have been in reverse when it snapped. It happened in the rocks on Trail 20 at Rausch Creek. For my situation, it's an example why the insides of the spindle need to be kept clean (plus a flaw in the home-built modification). Grab yourself a cheap RV water pump. No need for pressurizing it with compressed air then. Pump runs on demand only when you open the valve. Worth it for the $20-30. Thanks @Stafford. Looks like those were TJ/XJ shafts--wouldn't work in my CJ. I wasn't aware of the Facebook Jeep classifieds--a lot of stuff there without the crazy ebay prices! And I just bought a stock set from a guy in the CJ-7 group for $100! It would have required running hoses in and out of the Jeep. I have a small Masterflow compressor. When the pressure inevitably drops it will require re-pressurizing but the compressor also lets me skip the line airing up at the end of the day. 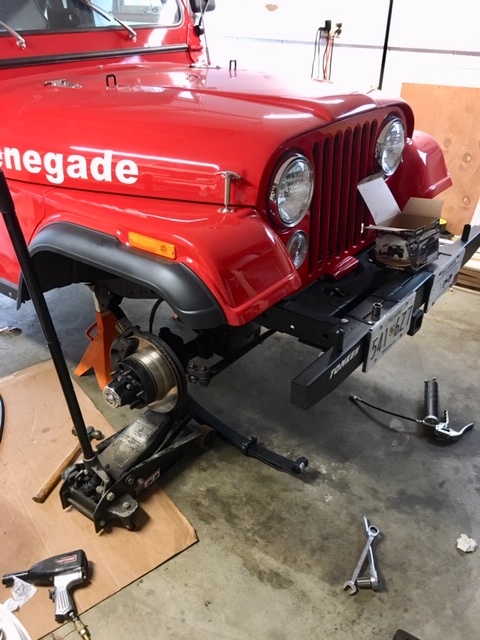 Began the installation of my heavy duty (greaseable) 3/4" shackles with a 2.5" Skyjacker lift. Got to love a 43 year old southwest Jeep. I didn't have to use my universal wrench (4" angle grinder) to remove a single nut or bolt! Keep the stock set as trail spares. That CJ is way too too nice and clean to be hitting the trails. And yet he wheels it more than anyone in the club. Thanks, John! But I think he's talking about the red one--mine is way too beat and ugly for anything but trails! Oh, yeah, you are probably right that he means the red one. and you are also right about yours.